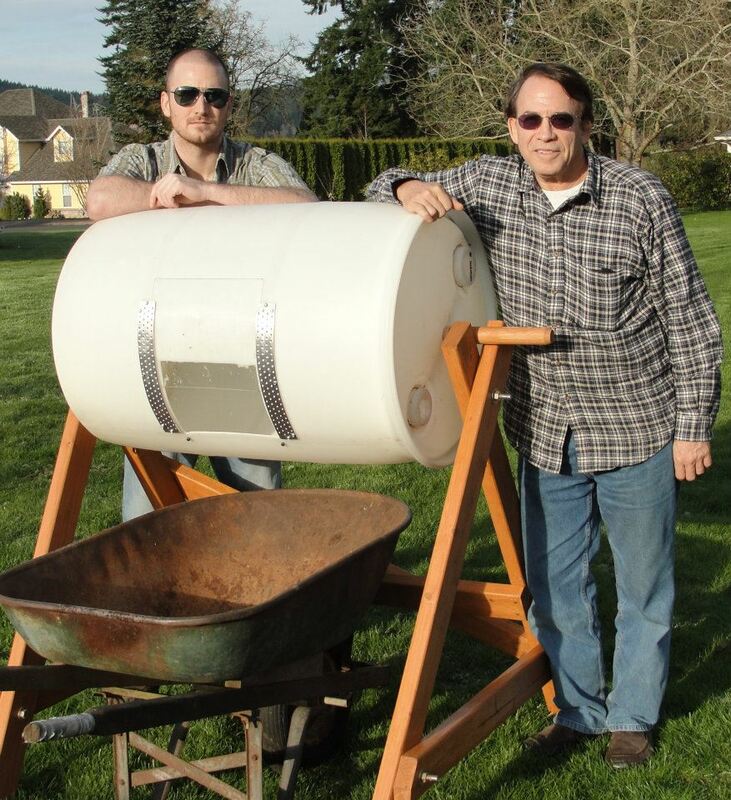 This is my Dad and I with our latest build, a Compost Rotator. Place food scraps, grass clippings, etc. through the opening in the 55 gallon drum. Spinning the drum every few days will speed up the composting/breakdown process. It allows oxygen to spread throughout the entire mix instead of the surface area. Generally the composting process takes roughly 2-3 weeks. One side is free of vent holes so that water can be added to the mix after it has composted. Leave the water/compost mix sit for 2-3 days to create “compost tea.” The “tea” can then be drained from the drum and used to fertilize plants or your garden. Previous Top Bar Hive Build Completed!